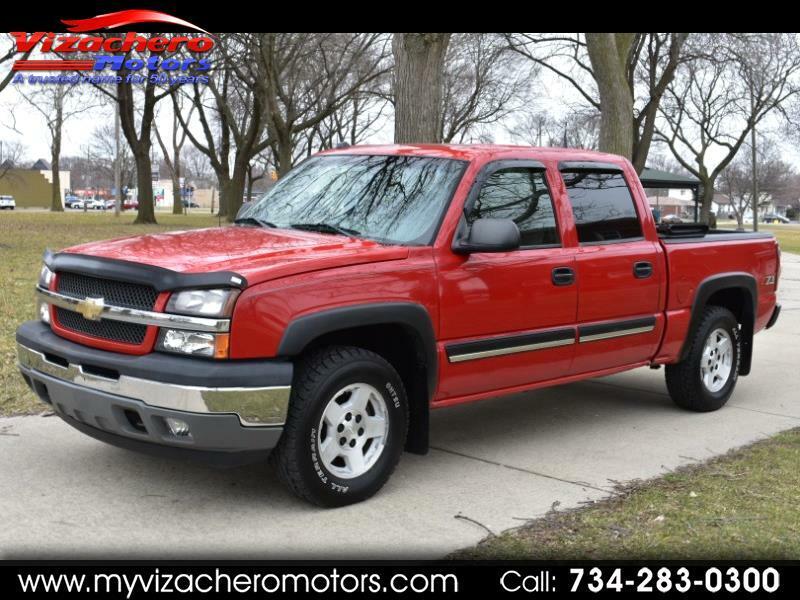 RED CREW CAB - Z-71 - 4X4 - 4 DOOR - BEAUTIFUL RED TRUCK - RUNS, RIDES AND DRIVES PERFECTLY - 5.3L V8 / A REALLY NICE TRUCK - NOT RUSTED - AM FM CD STEREO - POWER WINDOWS - POWER DOOR LOCKS - POWER MIRRORS - BEAUTIFUL CHARCOAL CLOTH INTERIOR - ABSOLUTELY WELL MAINTAINED - THE RIGHT TRUCK - A MUST SEE AND DRIVE - - WE ALSO OFFER GUARANTEED CREDIT APPROVAL FOR ALL!!! - PLEASE BUY WITH CONFIDENCE...OVER 58 YEARS OF AUTOMOTIVE SALES AND SERVICE ...OVER 6000 VEHICLES SOLD !!! - CALL OR STOP IN FOR A CLOSER LOOK AND A TEST DRIVE - HOPE TO SEE YOU SOON ! !